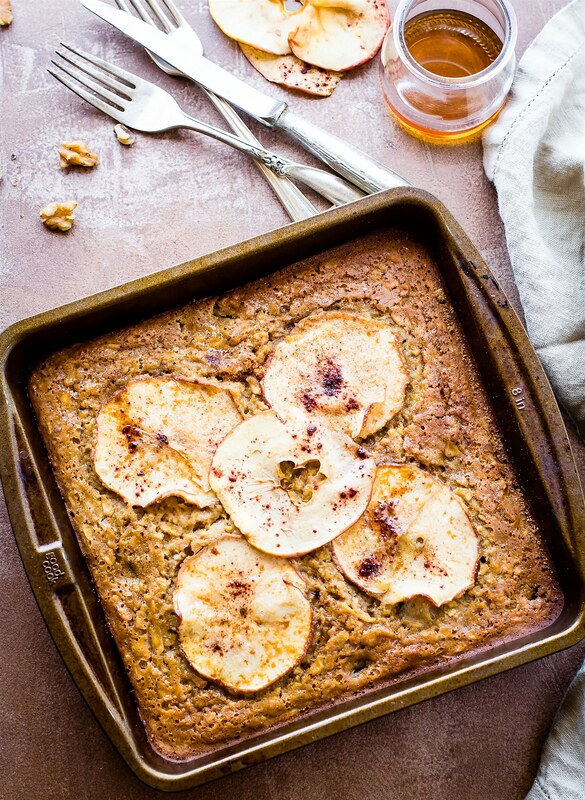 Apple sausage is KEY for making this sweet and savory, healthy breakfast bake! Gluten free chicken apple sausage combined with maple syrup, gluten free pancake mix, eggs, and more. It’s a wholesome breakfast bake that’s a meal in itself. Great for breakfast on the go, holiday brunch, or breakfast for dinner. Easy, protein packed, and DELICIOUS! *This Apple Sausage Breakfast Bake recipe is sponsored by my friends over at Al Fresco All Natural. Thank you for allowing me to share their healthy gluten free chicken breakfast sausage products! Well, I think I’m officially ready. I’ve put the Summer season behind me (even though it’s 90F today) and shifted my mind in into baking mode. I’d like to thank Al Fresco All Natural for the apple maple breakfast inspiration. 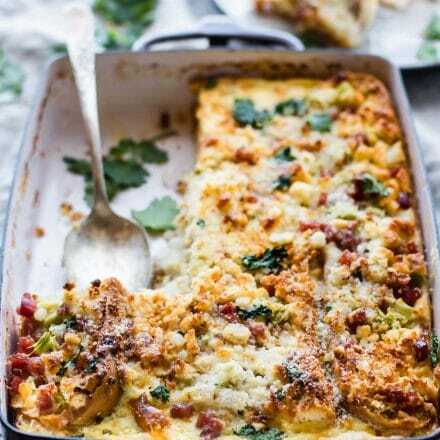 Yes, time to bust more yummy warm breakfast bake dishes! It’s like “no wearing white after labor” rule but with food. Cool creamy frozen tropical treats out (except my banana soft serve, that’s the exception. Mmmm k?). All the red, orange, and warm colored foods in. Not to mention ALL THE BAKING. Did I say that already? Haha yes, baked Apples, Pears, and Pumpkins galore. BRING IT ON! Okay I lied. I might a few more cool salad type dishes to share, but they involve Fall fruit. So…. I’m good, right? But let’s back up the baking train for a moment. You see, part of the reason we all love Summer is for simplicity. 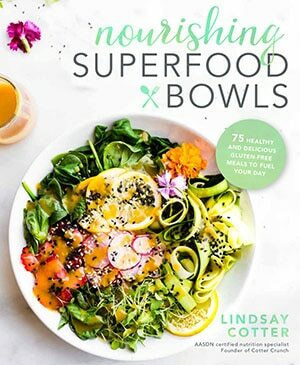 Fresh meals made in one bowl or pan. Yep, done. Let’s eat, fork or hands allowed. Why not keep this concept going through Fall and Winter. One dish. One meal. Healthy. Nourishing. Ahhh yes, the breakfast bake. Protein, veggie/fruit, carbs, and more goodness BAKED to perfection. Hence this Apple Sausage Breakfast Bake. 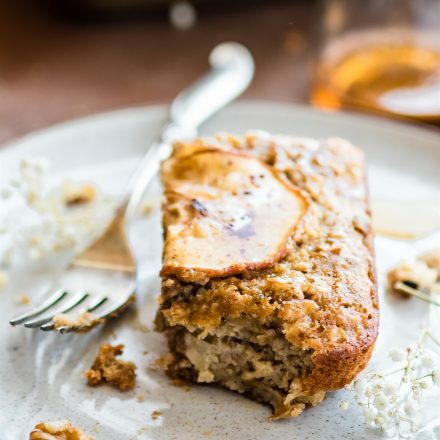 A breakfast bake that looks like bread or dessert, but actually can substitute for a FULL meal. And with minimal ingredients I might add. 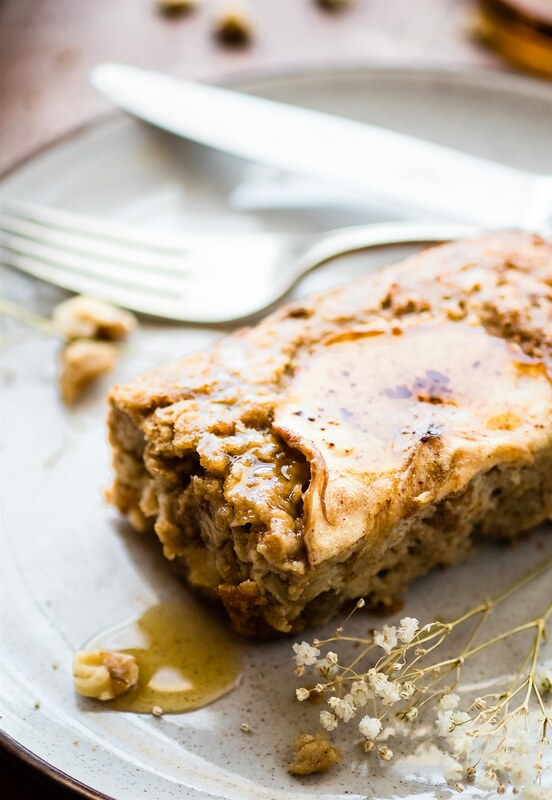 Think of it as Dutch apple pancakes and a side of maple chicken sausage COMBINED! Butter and syrup included. Except this Breakfast Bake can be made ahead of time. It can be frozen for later. Use it for brunch, breakfast, or dinner. Yes, a breakfast bake that takes the cake. —> I know, corniness factor slipped in. Go with it. How do you make breakfast bake? How long does this apple sausage breakfast bake take to make? Really, we all look at the time commitment first, don’t we? Well, I know I do. I love to cook, but when it comes to baking, I want make it in an hour or less. 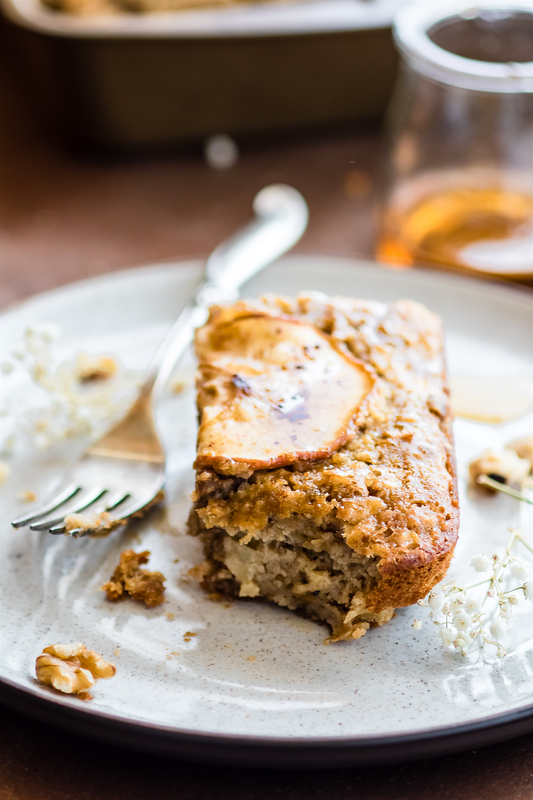 This Apple Sausage Breakfast bake will fit that criteria. Duh! I made my rules, I must follow. All you need to do is combine your favorite gluten free buttermilk pancake mix (or other flavor of choice), diced apples, and then pre cooked maple chicken sausage. The sausage is of course KEY here. Today I’m using Al Fresco Natural Breakfast Chicken Apple Sausage. What is chicken apple sausage made of? The kiwi and I LOVE chicken apple sausage. For one,they are sweet and savory, the best of both worlds. These Chicken Apple sausages (in particular) are just made for breakfast. Hence the whole breakfast casserole idea. 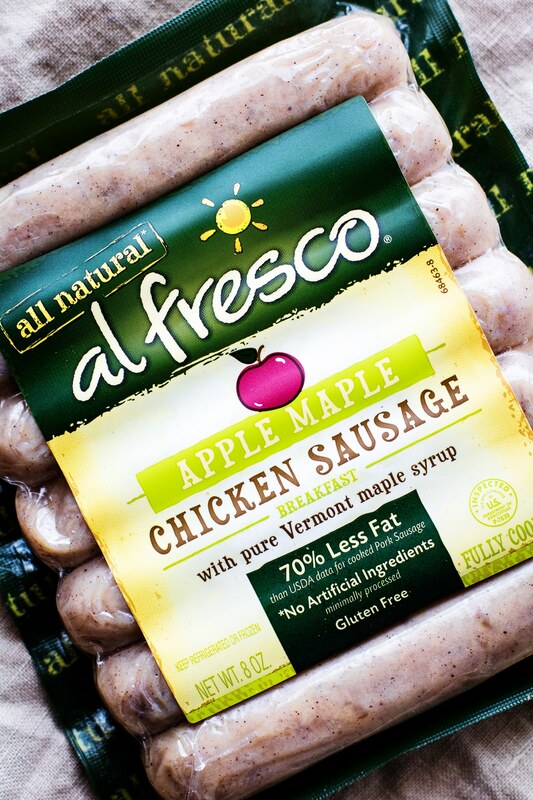 But what I also love about Al Fresco’s apple sausage is the real food ingredients. Ahhh, makes me feel so good just reading the simple ingredient list. They’re casein free, gluten free, dairy free, and made with pure Vermont maple syrup and unsulphured apples. Which makes them great for those who are intolerant to casein or have a sulphite sensitivity! Light in calories and made with lean, skinless chicken meat. Oh and the fact that they are FULLY cooked to begin with is super duper handy, don’t you think? 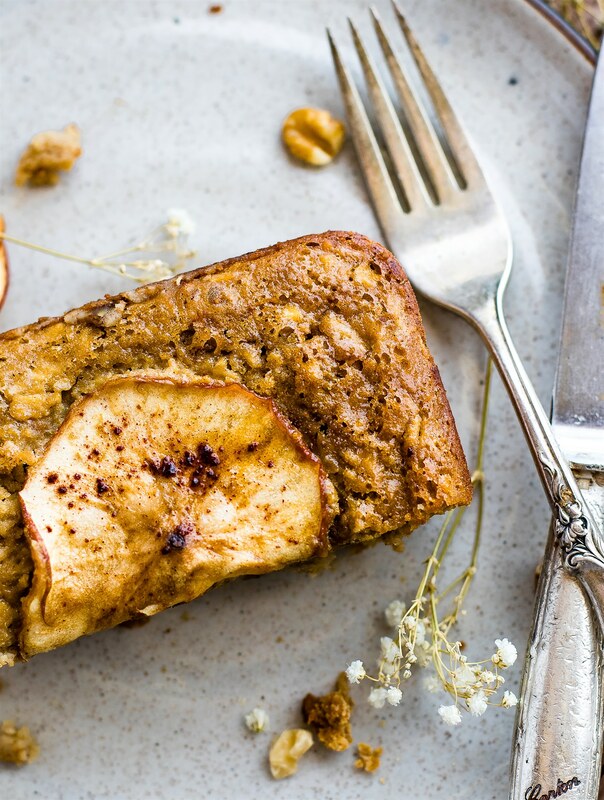 Which is what makes this apple sausage breakfast bake EVEN MORE super duper easy. Oh yea people, we are combing convenience with healthy delicious WHOLESOME food! Alright, ready to rock and roll this fall inspired breakfast? 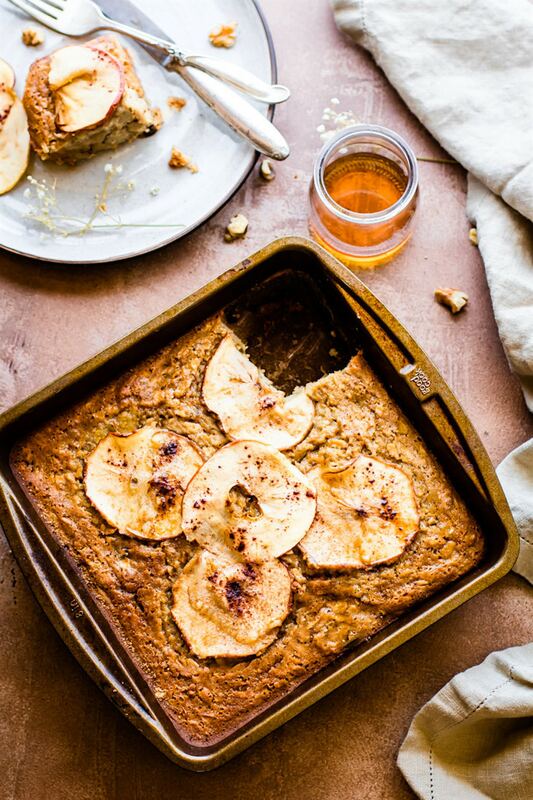 I should *note* –> this apple sausage breakfast bake is so easy to make PALEO. Just use your go to paleo pancake mix or flour (almond/coconut). Gluten free chicken apple sausage combined with maple syrup, gluten free pancake mix, eggs, and more. This breakfast bake recipe makes a healthy breakfast casserole for breakfast on the go, brunch, or breakfast for dinner! 1/3 to 1/2 cup plus 1 tsp maple syrup for cooking sausage. melted butter and additional maple syrup for topping. First brown your your sausages in a skillet with 1 tsp butter and maple syrup. If you are using fully cooked sausage then this will only take a few minutes on medium heat until they brown. If you are using uncooked, then be sure to brown and check the internal temperature to reach 160F (uncooked takes about 10-12 minutes). Next preheat oven to 350F. Chop your apple. Leave skin on if desired. Feel free to save a few thin apple slices for the top of the bake. See pictures. Next chop your walnuts or whatever nut you are using. Once sausage is cooled, chop it into smaller pieces to mix. Place pancake mix, spices, apple, and nuts in a small bowl. In another bowl, whisk your egg, 1/3 cup maple syrup, milk, and extracts together. Pour your egg mixtures in with the pancake/apple mix and then fold in your sausage. Let this sit for about 5 minutes if you are using pancake mix. While that is sitting, grease a 8×8 baking dish. Then after 5 minutes pour the mix into the baking dish. Place optional apple slices on top. Drizzle a little melted butter on top and extra cinnamon if desired. 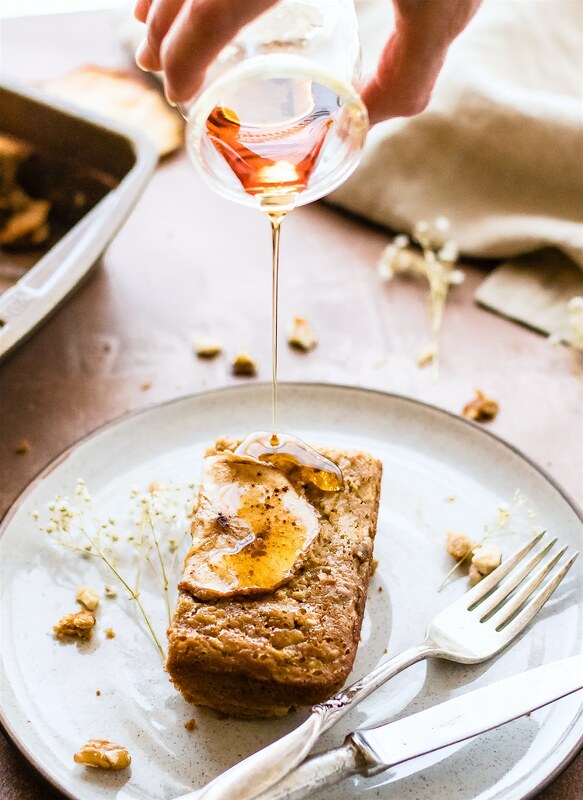 Slice and serve with butter/maple syrup for a breakfast bake. You can also let this cool and keep for later. Just wrap with foil and store in fridge. Warm in oven when ready to serve. If you don’t have pancake mix, feel free to use a gluten free multipurpose flour or a paleo flour mix. Be sure to add in 1-2 tsp baking powder if the mix doesn’t have it already in there. Baking times might need to be adjusted. Check at 30 minutes to be safe. You can serve this with baked apple slices on top instead of fresh unbaked slices. 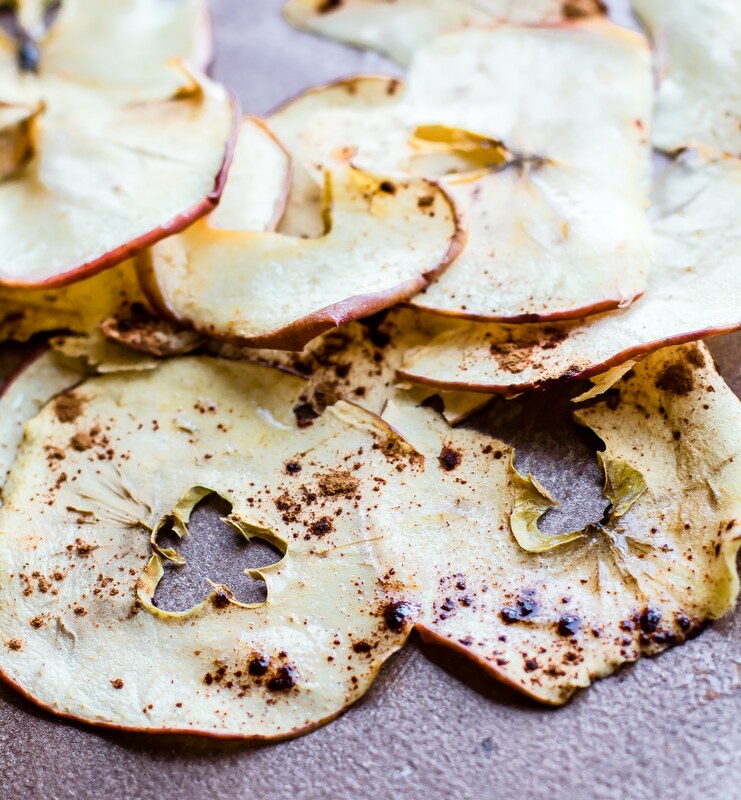 Just slice apples, sprinkle with cinnamon and bake on a greased baking sheet at 350F for 20 minutes. 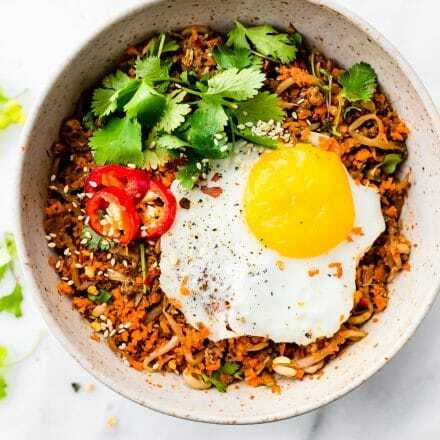 Yes, this is one EPIC FALL WHOLE MEAL breakfast bake! I mean, what’s not to like? 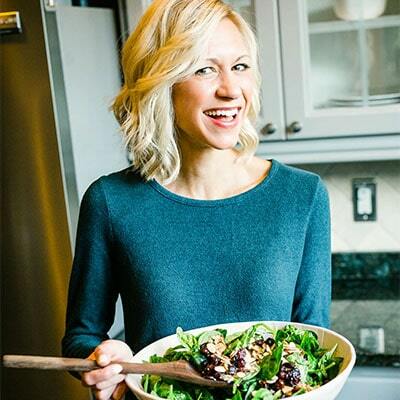 Sweet, savory, easy, protein packed, and of course…. portable. I wasn’t lying when I said it’s like breakfast sausage and apple pancakes all wrapped up into one dish. Ever tried apple sausage or any other breakfast style chicken sausage? Favorite way to eat it. Do tell! mmk? This is the true definition of fall comfort food. I love that sausage (especially at this time of year), so thanks for the reminder to pick some up. I love this sound of this casserole…and the sausage is also great in a frittata. Adding it to my shopping list! Have a great week ahead, Lindsay! I LOVE AL FRESCO. Tell them that if they need a spokesperson and a spokesdoctor I know a couple who would gladly help them out. Totally! we both can be. LOVE LOVE LOVE them. CHicken meatballs are also DELISH! isn’t it the best?! i’m hooked! haha your roommate is genius! love that! I absolutely LOVE dipping sausage in maple syrup! It’s one of my favorite breakfast foods! This recipe totally cuts out the dipping step and combines pancakes…I’m sold! I need to come up with a good vegetarian sausage recipe (without all those crazy unnecessary ingredients that come in the frozne kind), because this sounds amazing! Love the one pan/pot meal, I need to make more of these as we get crazier and crazier with the gym here in Austin. Oh I wanted to ask you, do we get fall here in Austin? 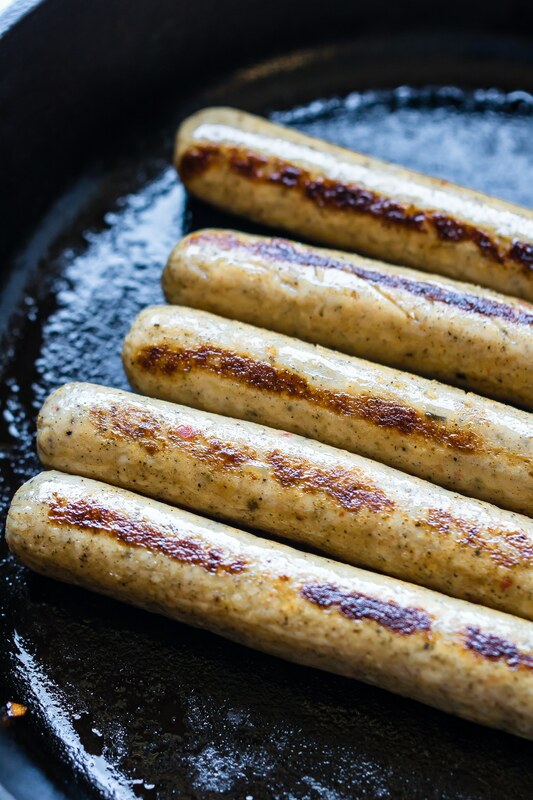 Have you tried tempeh sausage? There is a good Austin brand. It’s at wholefoods. And austin gets fall for like a week. LOL! That’s genius including the sausage links. Yum!! Ok, this is pretty amazing! A combination of so many of my favorite breakfast eats! This looks so beautiful and like the perfect start to fall! I cannot wait to make it this weekend! Thanks, Lindsay! YES PLEASE. Bring on fall. I’m done sweating into all my clothes and swimming in humidity. Now if only I could tan in fall it would be PERFECT. OMG can you invent that without a tanning bed. LOL! do it! haha. I thought this WAS cake at first! Then I saw the sausage (TWSS). Either way, I’d eat it and ask for seconds. Strange but good, for the win! yep, thought of you bro. Next time, I’ll serve it with irish coffee. K? Such an awesome bake. Love it. The apples on top make it. This looks INCREDIBLE! I wish we had maple or apple sausages here as this is something Jesse would LOVE! I know! I don’t think i ever saw these types of sausages in NZ. Just pies. Haha! What a great combination of flavors! Love the apples you put on top. Just perfection! I would love to serve this the next time I have company. Thanks friend! Let me know if you try it. I love breakfast bakes! So easy to make ahead of time and warm when ready. I would love the try this with Field Roast vegan sausages. Sweet and savory always hit a home run in our family. 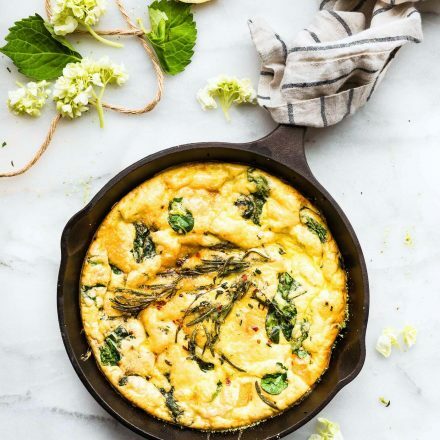 This would be the perfect make ahead brunch idea. Hope you are having a super day. Sharing! Oh I love Alfresco Sausage and this is such an amazing fresh way to use it! I really need to mix up our breakfasts and this looks like a good one to start with. Thanks Lindsay! I bet my family would be in heaven with this, well at least my husband and oldest daughter but A might eat sausage (I’ve seen her eat it once or twice). Sounds amazing Lindsay! I’d love to try this with a vegan sausage! Who knew that sausages could belong in pancakes?! Yes! totally! Let me know if you give this combo a whirl Cassie! Okay, you are REALLY getting me excited for fall!! I love sweet and savory things like this. PERFECTION. Thank you!! I’ve been buying those exactly sausages for Xander– we both love them! I love the idea of a sweet/savory bake! This looks amazing. 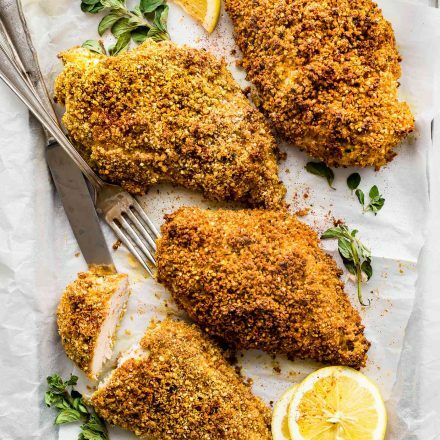 I want to make this this week… I think it would be a hit with the whole family! I’m feeling breakfast for dinner lately.. Yes! it was soo good! I had it with butter and maple syrup on top with eggs on side. haha. LOVE! keep me posted. In the ingredient list under the almond milk, you have 2 TBSP — of what? oh thanks for catching that! It’s 2 table walnuts. or more if you’d like. Then you chop for the mix. YOu can use pecans or almonds if you don’t have walnuts. This came out super dry. Like too dry to eat. What did I do wrong? Oh no! That’s not good. What pancake mix did you use?